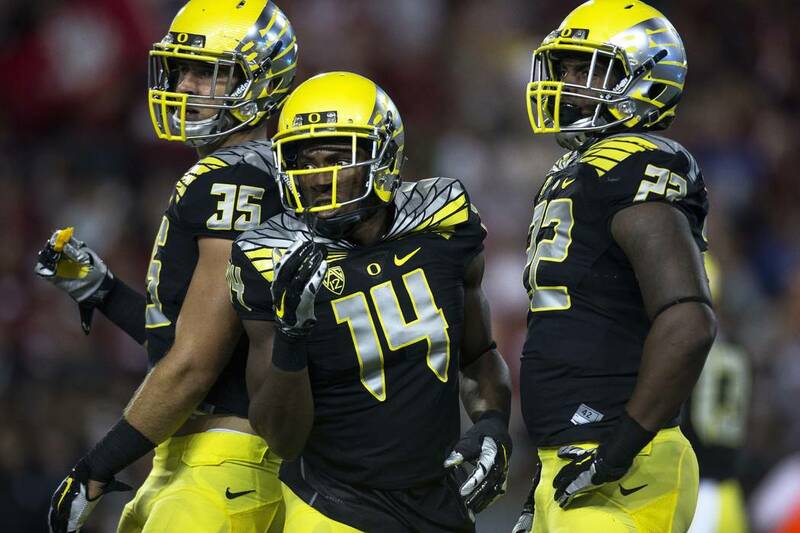 No school has been as aggressive as Oregon at marketing its football program through uniforms. 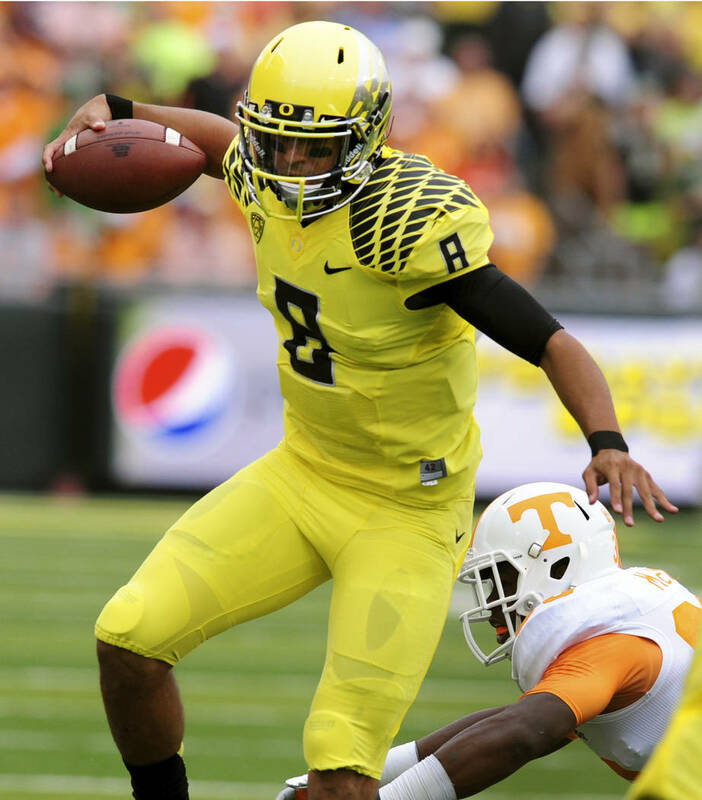 The Ducks bring their multiple look to the Las Vegas Bowl, where they face No. 25 Boise State on Saturday. Oregon wasn’t the first football program to market through uniforms, but the Ducks elevated that practice beyond what other schools even considered. 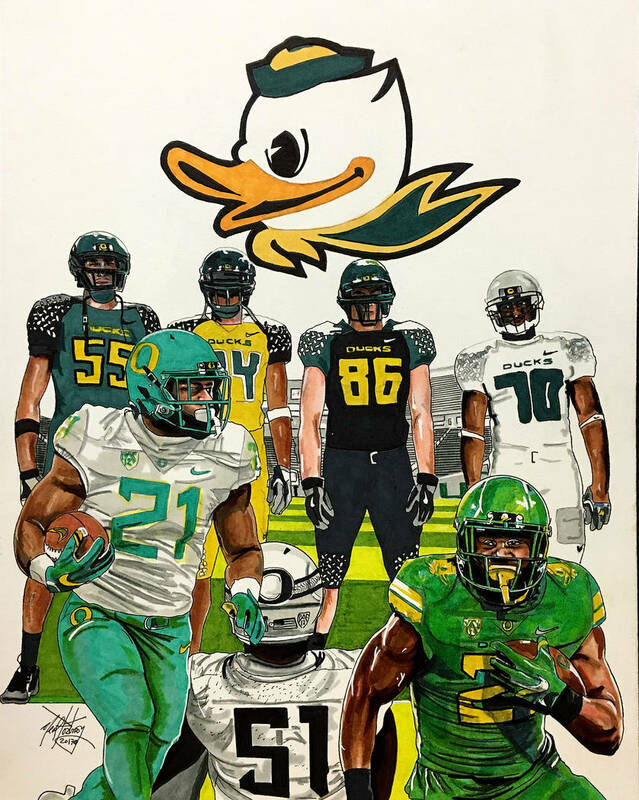 In capitalizing on their relationship with Nike founder and Oregon graduate Phil Knight, the Ducks cycle through uniform combinations on a seemingly weekly basis, incorporating the traditional yellow and green with other colors such as black and silver. The (Portland) Oregonian even has an interactive feature on its website that detail all the uniform combinations since 1997 — 51 jerseys, 32 shoes, 24 helmets and 20 pants. “They’ve refined it and taken it to the next level,” said David Carter, an associate professor at Southern California and consultant to sports organizations and athletic venues. “I think what some wonder, though, is at what point are they hitting diminishing returns because it’s gone from being product development to simply being absurd. I think a lot of people are waiting for them to change uniforms between plays, and it gets to that point where it goes from being very compelling and perhaps even a tool to recruit student-athletes and to sell more merchandise to just becoming ridiculous. 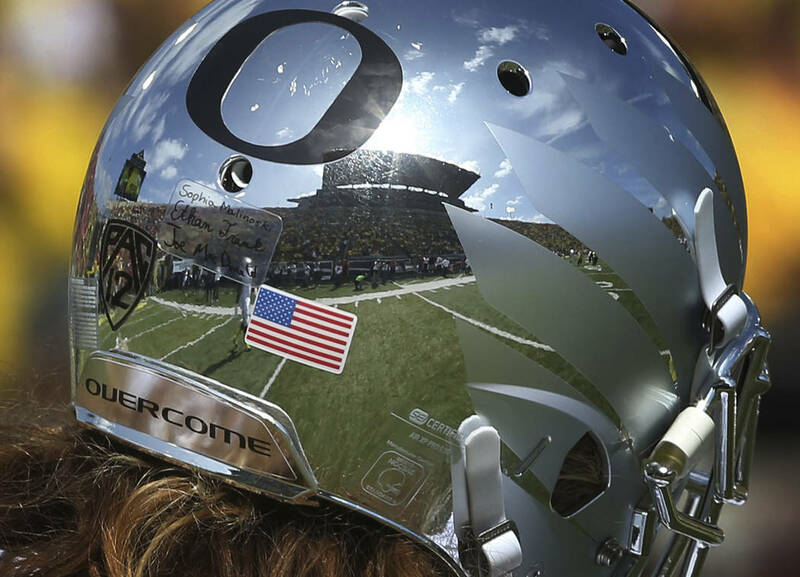 Oregon will bring its brand and team to Sam Boyd Stadium, where the Ducks meet No. 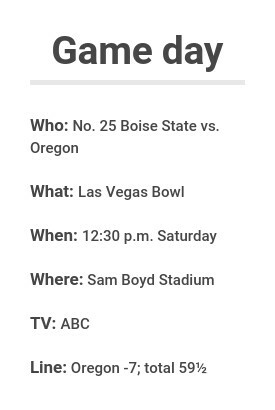 25 Boise State in the Las Vegas Bowl at 12:30 p.m. Saturday. 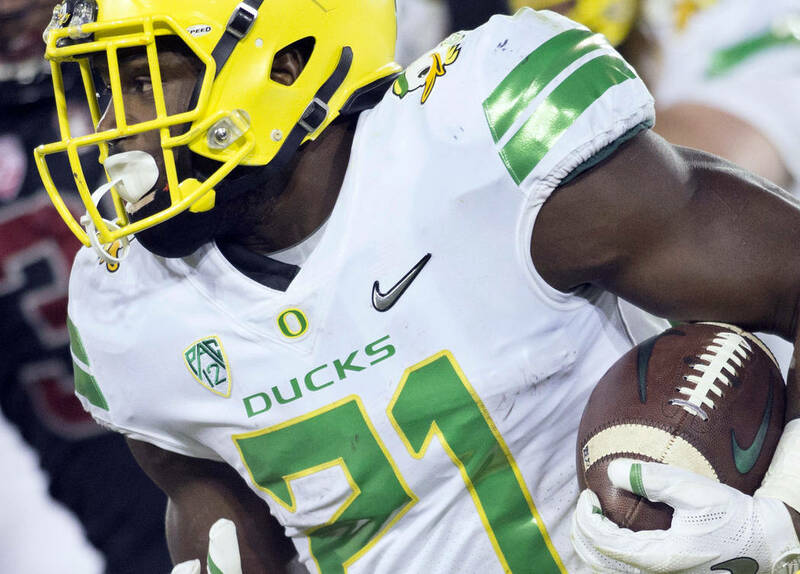 Though some schools have followed Oregon’s lead when it comes to the multiple uniform designs, the more traditional powers have stayed out of that game. The Ducks don’t have such a storied history, and until the late 1990s were barely noticed outside the Pacific Northwest. 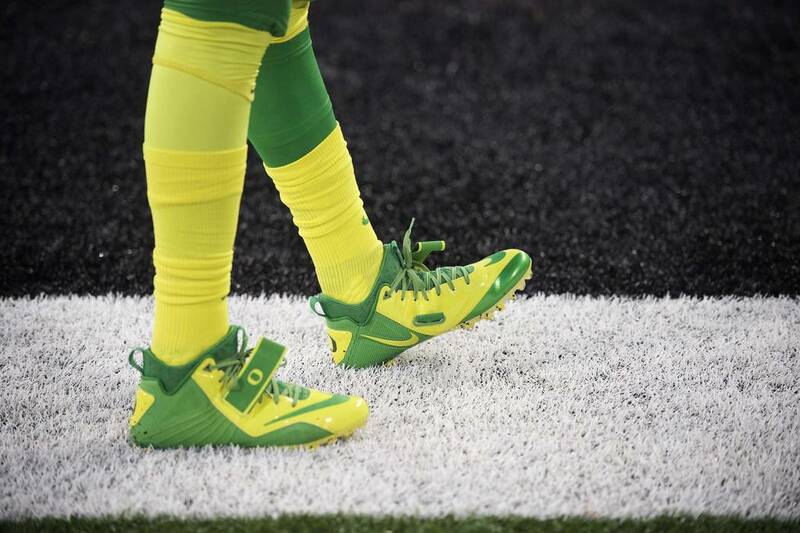 Knight aligned his powerful shoe company with his alma mater, and the Ducks did their part by winning. This is their 24th bowl appearance since 1989, and they played for the national championship in the 2010 and 2014 seasons. They also were cutting edge on the field under coach Chip Kelly, who ran an ultra high-tempo offense from 2009 to 2012, losing only seven games. 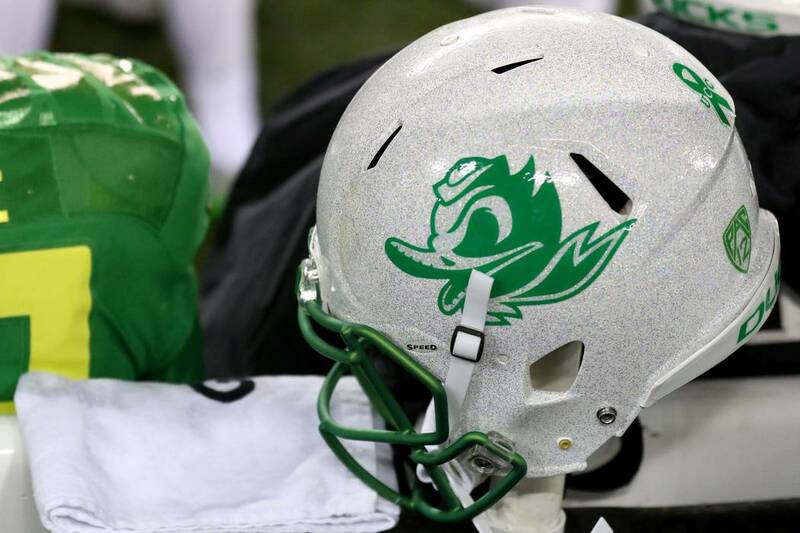 And there were those multiple uniforms that mixed colors plus added elements such as silver wings on the shoulders and various combinations of a duck on the helmets. The many combinations also means there is no one true identity for the program, a shape that shifts without end. No real identity to claim its own.